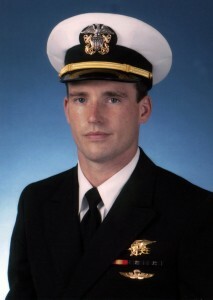 LT Michael P. Murphy Memorial Scholarship Foundation | "Education will set you free." The LT Michael P. Murphy Memorial Scholarship Foundation was started in 2007 by Michael’s parents Dan and Maureen and Michael’s brother John. Michael was an avid reader and felt that education was key, in fact his favorite saying was “Education will set you free”. That is why the Murphy Family used their own funds to start the Foundation. From it’s humbled and honored beginnings of awarding one scholarship a year, the Foundation now awards 18 scholarships. The LT Michael Murphy Foundation 2016 Scholarships that were issued are as follows; Eight scholarships to Crew or family members of the Crew of the USS MICHAEL MURPHY DDG112; One scholarship issued through the Suffolk Federal Credit Union; Two scholarships issued through Mike’s High School Alma Mater Patchogue-Medford; Three scholarships awarded to graduating members of the LT Michael Murphy Sea Cadets; One scholarship to send ten Penn State ROTC students to attend the Veteran’s Conference and LT Michael Murphy Valor Award; One scholarship issued through the Purple Heart Association; One scholarship issued through Mike’s college Alma Mater Penn State; and one scholarship issued through Shoreham Wading River High School. The Foundation is funded through kind donations and proceeds from The Murph Challenge, a Forged® annual fundraiser.